For more than two decades, Indianapolis, Ind.-based Angie’s List has been a trusted name for connecting consumers to top-rated service professionals in their local markets. 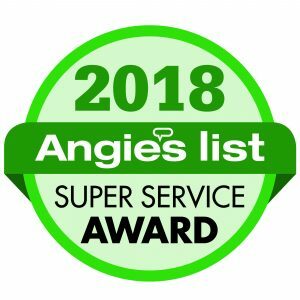 The 2018 Angie’s List Super Service Award honors service professionals who have maintained exceptional service ratings and reviews on Angie’s List in the past 12 months. Black Diamond Pest Control, Indianapolis, Ind. Black Diamond Pest Control, Nashville, Tenn.
2 Comments on "Angie’s List announces 2018 award winners"
I was surprised when running a test run of my Angie’s List account to find when I entered information as if I was a customer searching for a rodent job, I was lead to a list that contained my company name, but with-in seconds received 3 calls stating they got my name from HomeAdvisor & did I need a rodent treatment?. HomeAdvisor bought Angie’s List and so when an Angie’s List “member” ask for information those leads are instantly going to pay-per-lead HomeAdvisor service. Before someone gets a name from Angie List, the phone is ringing from HomeAdvisor. So if you advertise on Angie’s List your are funneling leads to HomeAdvisor. Paul, this is an interesting take, thank you for writing. We did see that HomeAdvisor merged with Angie’s List in October 2017, becoming ANGI Homeservices. Readers, we’re looking to hear what your take is on this process? Please comment below or drop us a line at pmpeditor@northcoastmedia.net. — The Eds.